To make a donation in honor or memory of someone, please make a “Gift of Love” donation at The Theresa Foundation. 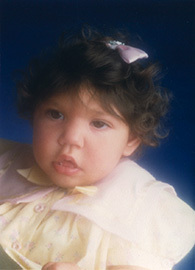 The Foundation honors the memory of Theresa Alessandra Russo by touching the lives of children with special needs and their families. The Foundation fosters each child’s unique abilities through direct support and programs focusing on art, music, dance and recreation. Special Needs, Elder Law, and Estate Planning for your family. Call Russo Law Group, P.C. at 516-683-1717 for a complimentary telephone review and assessment to see whether meeting with one of our elder law attorneys, estate planning attorneys, or special needs (disability) attorneys can help you. Cerebral Palsy of Nassau County, Inc. (CPN) is an independent, not-for-profit health agency serving over 1800 children and adults with cerebral palsy, developmental and other disabilities. ACDS is dedicated to providing lifetime resources of exceptional quality, innovation and inclusion for individuals with Down Syndrome and other developlental disabilities and their families. ACLD’s mission is to provide opportunities for children and adults with autism, learning and developmental disabilities to pursue enviable lives, promote their independence and foster supportive relationships within the community. AHRC Nassau is a not-for-profit organization that is a chapter of The Arc New York. Established at a time when most people with developmental disabilities were relegated to institutions or hidden away at home, AHRC Nassau has been dedicated to improving the lives of people with developmental disabilities and helping them live self-directed lives for more than 65 years. AHRC Suffolk’s mission is to support and advocate with individuals of all ages with unique abilities and challenges. Our commitment is to provide individualized, high quality services utilizing person-centered approaches assisting them to discover and define their own quality of life. Camp A.N.C.H.O.R. (Answering The Needs Of Citizens With Handicaps Through Organized Recreation) Is a year-round Recreation Program operated by the Town Of Hempstead, acting through its Department Of Parks & Recreation. The program is dedicated to children and adults with special needs who reside in the Town of Hempstead. The Town of Hempstead’s Camp Anchor Program provides programs after school and on Saturdays in various locations throughout the township during the fall, winter and spring. a comprehensive six-week summer camp located in Lido Beach is also offered to the town’s special needs population. Cleary School is a private, state supported program that has served the Deaf community of Long Island since 1925. Viewing all children as unique and individualized learners, we provide access to language, communication and learning for students from birth to 21 years of age, striving to prepare children who are deaf to become active and contributing members of society. FAMILY COMES FIRST… each week hosts Vincent J. Russo and Victoria Roberts Drogin take a look at the challenges that real-life families face everyday and offer resources and advice from experts. Homeschooling is rewarding, fun, challenging, exhausting, and fulfilling, but above all, it is worth the effort. Within THSM is encouragement, advice, resources, curriculum reviews, organization tools, and more. 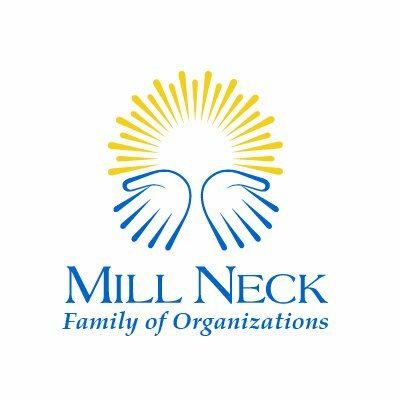 The Mill Neck Family of Organizations is dedicated to creating a world in which Deaf and Hard of Hearing individuals are included, empowered, celebrated and embraced as equals through quality education, employment, audiological and spiritual programs and services. – a place where families of individuals with special needs, and the professionals who support them, can meet and share information. – a place for us to find each other, a place for us to be made strong. Southampton Fresh Air Home provides an environment in which the youngsters can socialize with one another and enjoy playing and competing in games and sports designed for them. Campers mature and develop in the Home’s unique and supportive environment of love, understanding, and creative play. Many children who come to the Home enjoy their first experiences of leadership, competition and independence – experiences they carry with them throughout their lives. The Tiegerman mission of “teaching the extraordinary” reflects the organization’s goal to substantively transform the lives of individuals with developmental disabilities from preschool throughout adulthood by means of the Tiegerman Learning Method. We are committed to providing an enduring opportunity for exceptional instruction, education and support to ensure that the children and adults that we serve achieve their potential in life. We believe that each individual is extraordinary and through our extraordinary efforts they will achieve a more independent and successful future.